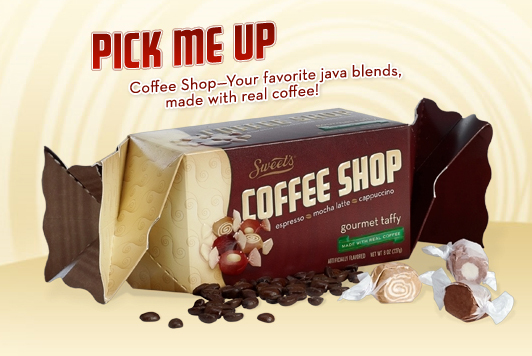 Make-your-own-combination chocolate bars must be the next big thing – or at least some people hope they are. As soon as I posted my review of Chocri, what should we get but an offer of samples from another website that offers the same sort of product. Chocomize is American (although they use Belgian chocolate) and offers a different range of additions, although they also say that ten billion combinations are possible. They offer some pre-made combinations, which doesn’t seem to be in the spirit of the thing, but as someone who previously lamented that I didn’t really want to pick from among ten billion choices, I guess I shouldn’t throw stones, right? 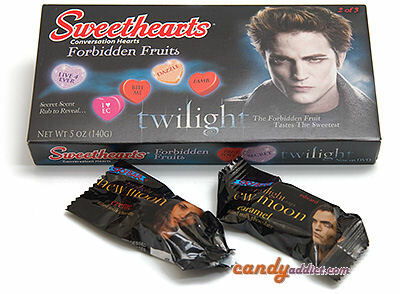 Just in time for Halloween, the Twilight film franchise has released New Moon themed Halloween candies. The folks at the National Confectioners’ Association sent me three flavors to try. Do you remember Sky Bars? For those of you who have never had the pleasure, a Sky Bar is a chocolate bar made of different sections, each of which contain a different filling. So in one chocolate bar, you got caramel, vanilla, peanut butter, and fudge fillings. Awesome. 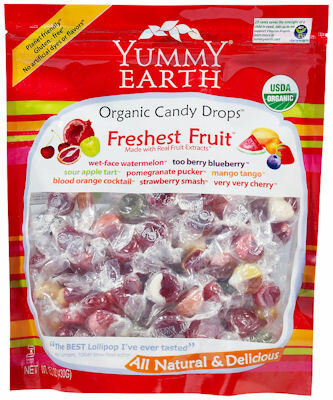 Well this classic candy is getting a modern makeover. Instead of putting all the fillings in one bar, now some of the segments have their own, individually-wrapped candy bar with different Twilight New Moon characters on different flavors. I tried the Edward caramel and the Bella creme. 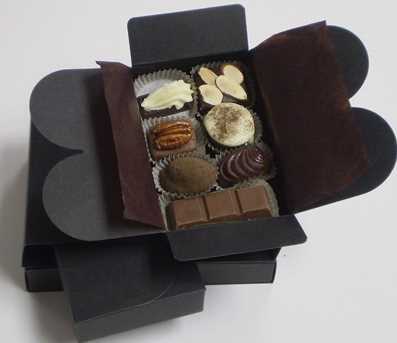 Edward’s chocolate is etched with a family crest and says “Cullen.” Bella’s is shaped like a heart and says “Bella.” Both are good-sized chocolates.